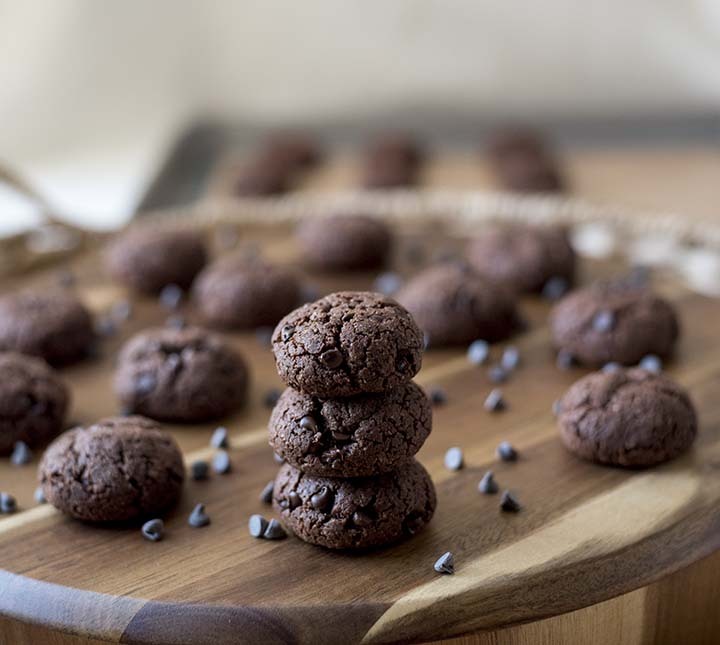 Rich, chewy, chocolatey, soft, low sugar, & gluten-free, crinkle cookies. They take only 20 minutes to make, from start to finish, and they’re sure to satisfy your sweet tooth without any guilt! 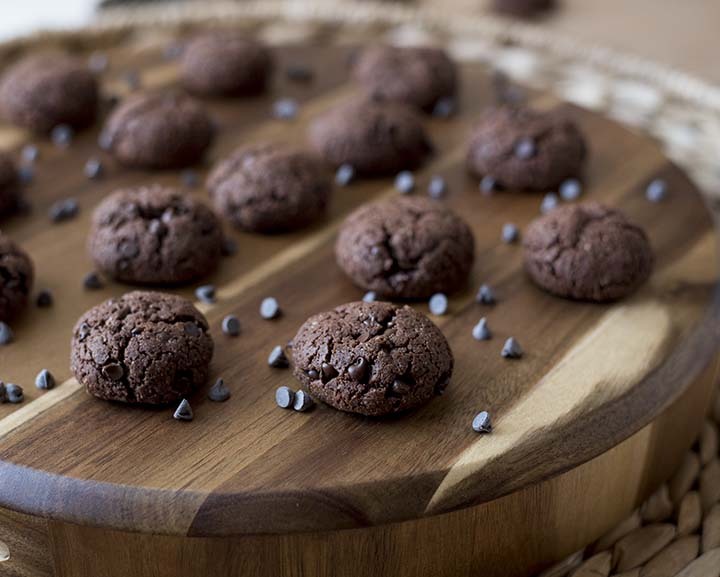 Each cookie has only 106 calories; a perfect reason to enjoy more than one! Because who can stop after only eating one cookie? 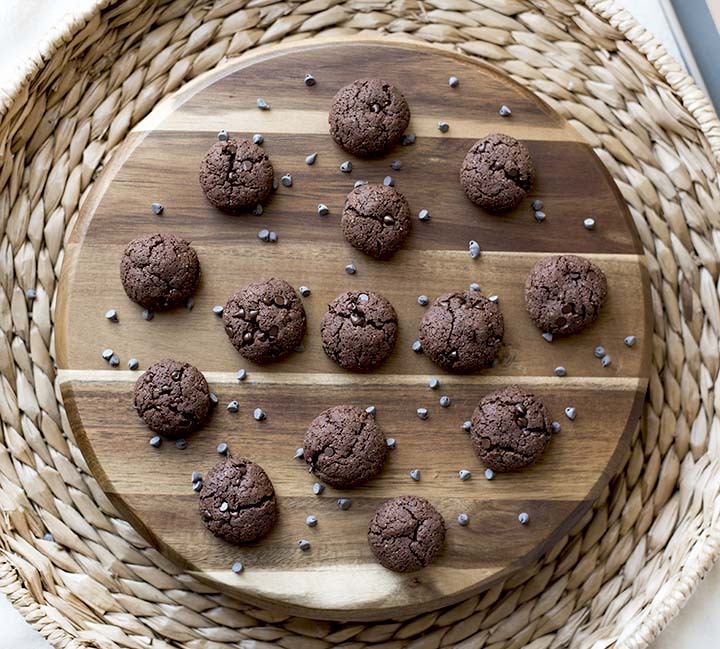 These cookies bake perfectly when you use an ice cream scoop to drop them on the sheet pan. They flatted out just enough and form into crinkled, chewy cookies. The outside is a bit chewy and the inside is soft. YUM! Using an ice cream scoop is my trick to getting cookies the exact same size so they bake evenly. 2. Whisk together egg, almond milk, coconut oil, and almond butter in a mixing bowl until smooth. 3. 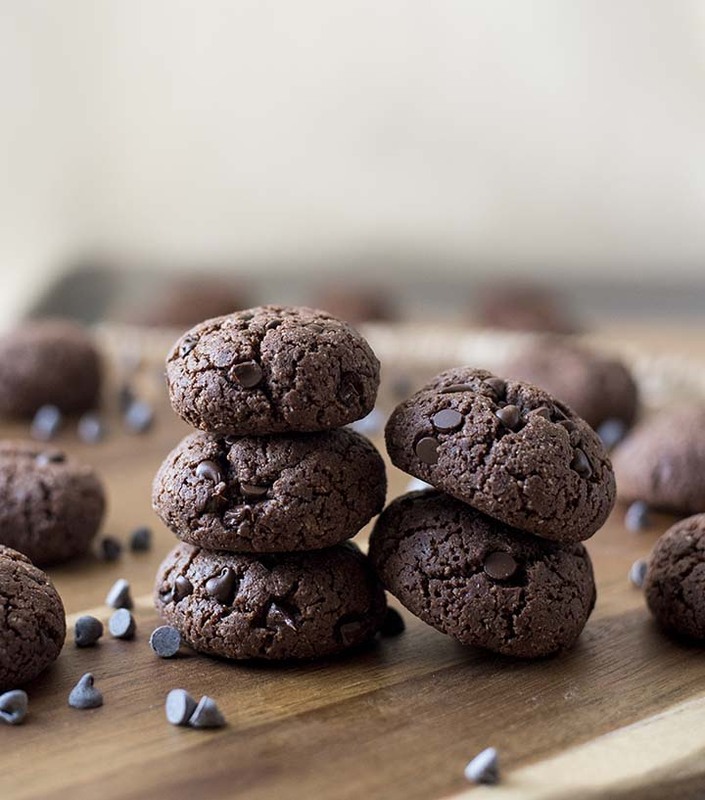 Stir in flours, protein powder, cocoa powder, xylitol, & baking powder until smooth. 4. Stir in chocolate chips until well combined. 5. Using an ice cream scoop, drop about 3 tablespoons of cookie dough onto sheet pan. 6. Bake in the oven for 10-14 minutes. Let cool and enjoy! - You can substitute chocolate almond milk with your chocolate milk of choice. 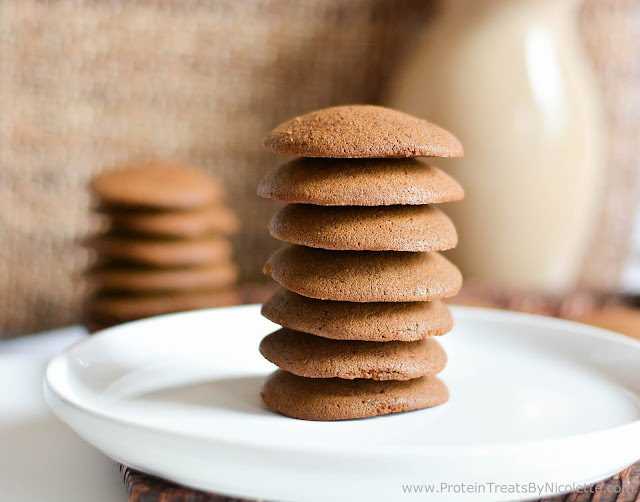 - To omit the protein powder, you can use an additional 1/4 cup dark cocoa powder in its place. - You can use any granulated sweetener, like brown sugar, cane sugar, or coconut sugar.